The opportunity for boys and girls to represent their school and community as they participate in interscholastic activities is a privilege not afforded to persons in most countries. Why? Because educators across the USA believe that participation in interscholastic activities, whether as an outstanding athlete, a starter, a back-up, or someone who never actually gets into a Contest, builds character traits and interpersonal skills difficult to duplicate in other settings. PIAA is a Pennsylvania non-profit corporation organized on a membership basis. All of its members are schools. They include almost all of the public and many of the private junior high/middle schools and senior high schools in the Commonwealth of Pennsylvania. Generally stated, the purpose and function of PIAA is to develop and enforce rules, which are authorized or adopted by the member schools, regulating interscholastic athletic competition. PIAA was formed in Pittsburgh, on December 29, 1913, by a group of high school Principals who desired to eliminate abuses, establish uniform rules, and place interscholastic athletics in the overall context of secondary education. 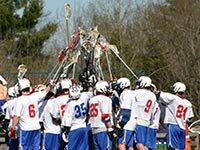 PIAA believes that the student-athlete is best served by a system which emphasizes the amateur, educational, and character-building aspects of high school sports and which recognizes that athletics is not the driving force. The students are in school primarily to obtain an education. The membership of PIAA consists of approximately 1,420 schools, divided almost equally between senior high school and junior high/middle schools. Of that membership, approximately 195 are private schools. Nearly 350,000 students participate in interscholastic athletics at all levels (varsity, junior varsity, or otherwise) of competition under PIAA jurisdiction each year. PIAA is divided for administrative purposes into 12 geographic districts, each of which has a District Committee elected by the member schools within the district. Each District Committee elects a chairman, who becomes the district's representative on the Board of Directors, which is the statewide governing body of the organization. PIAA is governed by a Constitution adopted by its member schools and By-Laws adopted by its elected Board of Directors. The Principal of each member school is responsible to PIAA in all matters pertaining to the interscholastic athletic relations of his school. PIAA deals with individual coaches, students and their parents through its member schools. Establishment and enforcement of rules governing the eligibility of high school athletes to participate in interscholastic athletics. These include rules for transfer students, physical examinations, age, amateur status, attendance, parental consent, pre-participation (semesters and seasons), and academic performance. Adopting the playing rules for each sport under its jurisdiction. With the exception of bowling, golf, rifle and tennis, all other playing rules adopted by PIAA are published by the National Federation of State High School Associations (NFHS), of which PIAA has been a member since 1924. As NFHS does not have rules in these four sports, PIAA adopts those published by their respective national governing bodies. Registering and providing training opportunities for officials to officiate at contests in which PIAA member schools participate. Approximately 12,000 officials are currently PIAA registered. PIAA requires its officials to be involved in continuing education and provides for the classes for them to attend on a local basis throughout the state. Organizing and operating Inter-District Championship Contests in twelve (12) girls' sports and twelve (12) boys' sports. PIAA does all of this without any federal or state funds. PIAA's principal source of revenue is the sale of tickets to our playoffs and championships. What Else Does PIAA Do? PIAA provides catastrophic accident insurance for student-athletes representing PIAA member schools. The protection covers all students during practice for, competition in or supervised group travel directly to and from, interscholastic athletic events under the jurisdiction of PIAA. Interscholastic athletics remain the best "deal," educationally and financially in America today. All administrators, teachers, coaches, and parents should know, understand and sell, at every conceivable opportunity, the values of competition/participation and performance, as those values are the same for students in grades 7 through 12, whether they finish 1st or 101st.